I have had a hangover once in my life. It was not pretty. I vomited out of my window and it plastered the side of my house… The rest of the time, my liver seems quite willing and happy to accept copious amounts of liquor, but that one time taught me a valuable lesson about how lucky I am. I wasn’t drunk today. There’s some beer in the refrigerator that the previous tenant of my rental apartment left, but I’m not going to drink beer. I only drink champagne or hard liquor. I say all this to say that I woke up at six o’clock in the morning with the worst headache of my life. It was worse than that hangover. It was the most painful thing I have ever experienced, and I never want to go through something like this ever again: it was jet lag! I was absolutely disgusted with myself. I have flown to Europe more times than I can count — I literally have no idea how many times I’ve been here now — and I have never once been jet lagged! I hop off the plane and get going. But for some reason, some evil combination of reasons, I ache and want nothing more than to sleep and sleep and sleep. The headache wouldn’t allow me to sleep, so I got up. I’m still shocked. 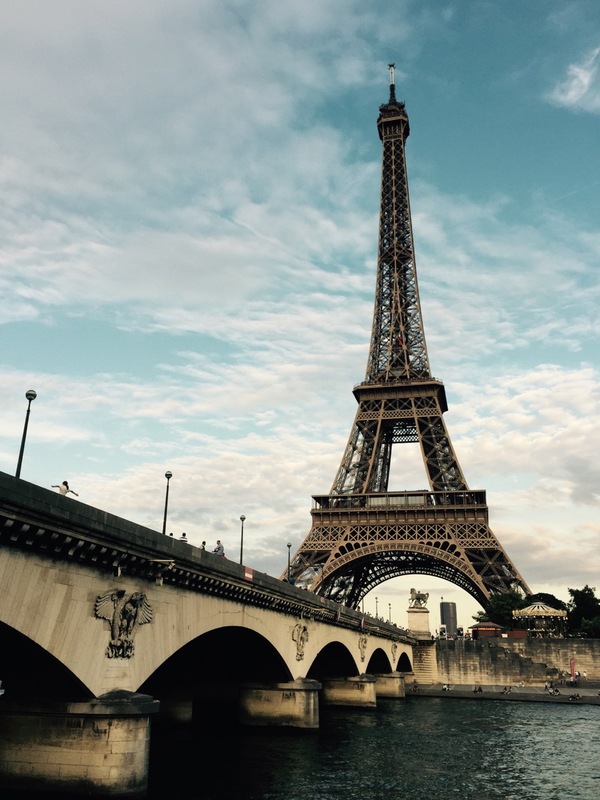 Turns out, the mornings in Paris are quite beautiful. Chilly even. 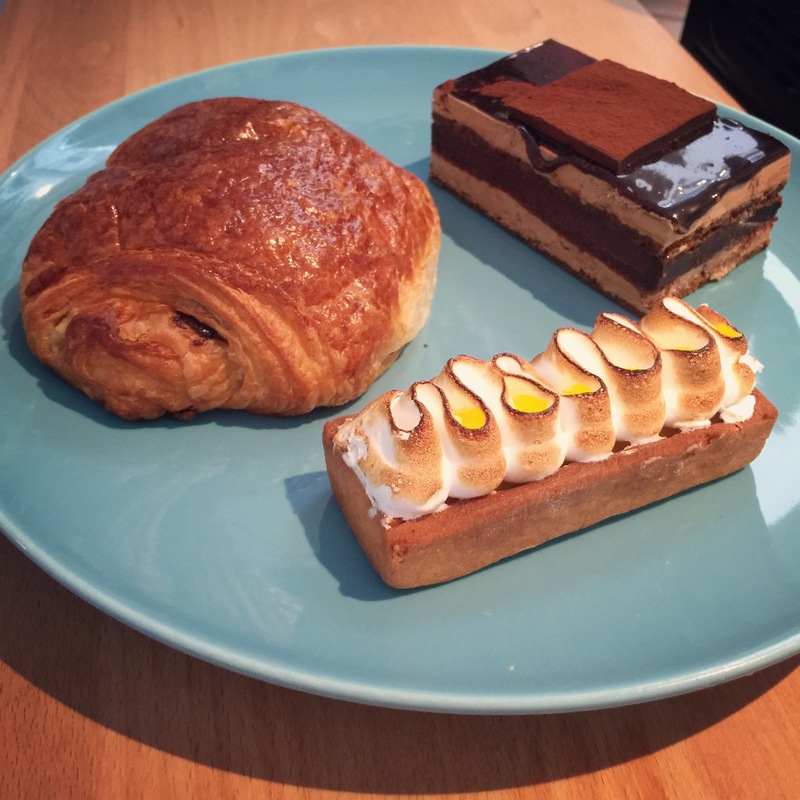 I went down to the bakery around the corner and bought a cake and a croissant. 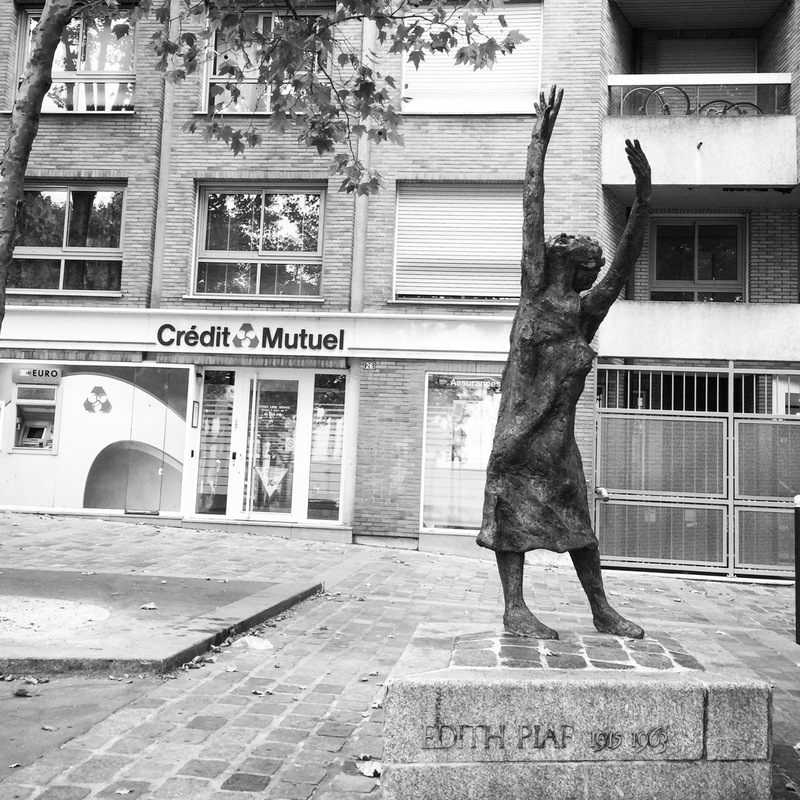 I studied the oddly rough statue of Édith Piaf that’s two seconds away from me. I beamed. Édith Piaf is incredibly important to me, but that story is for a later post. I went to the bank. I attempted to load my Navigo card, the pass for the Métro, but the machines at my station take either credit cards or change. No cash. I found that exceedingly odd. I had the money in cash, so I certainly wasn’t about to charge it to one of my cards and incur a foreign currency fee. And who is going to pay twenty euros in coin? Not I, so I planned to find a different station later on. I had a breakfast of far too many sweets — just kidding! — you can never have too many sweets, and whilst I pondered the strange magic of my lack of diabetes, I thought about my plans for the day. The first thing was a mission that I have meant to do for a couple months now. I haven’t spoken about it at any great length because it hurts me far too much, but in May, my beloved cat, Tiger, passed away of a heart attack. Took this when I woke up, didn't think it'd be my last picture of him. I've been lucky to have such a wonderful cat for the past twelve years. Seems like Tiger has always been with me. He was such a sweetheart. I miss him so much. I knew that he had been doing poorly for some time, but I never expected him to die quite so soon or so suddenly. It was a shock and it’s still a shock. Insensitive people wonder why others hold on to their pets so much, and why losing them hurts so much, but I don’t have time for them. I’ve had many pets in my life, I’ll have hundreds more undoubtedly, I’m craving a Spynx kitten like mad, but there will assuredly never be another one like Tiger. I have never had an animal that radiated such love. He was the sweetest cat I have ever met, and every damn day I miss him. He would come to the door when I got home, and he’d be by my side all the rest of the day. Then he’d sleep right beside me. He was the closest thing to me in the entire world, and I am not ashamed of saying so. And then he was gone. I still think sometimes that I’ll see him jump up onto the island in my kitchen or find him napping on the couch. It’s inconceivable to me that he’s not there. Before today, I hadn’t really processed my feelings about him. 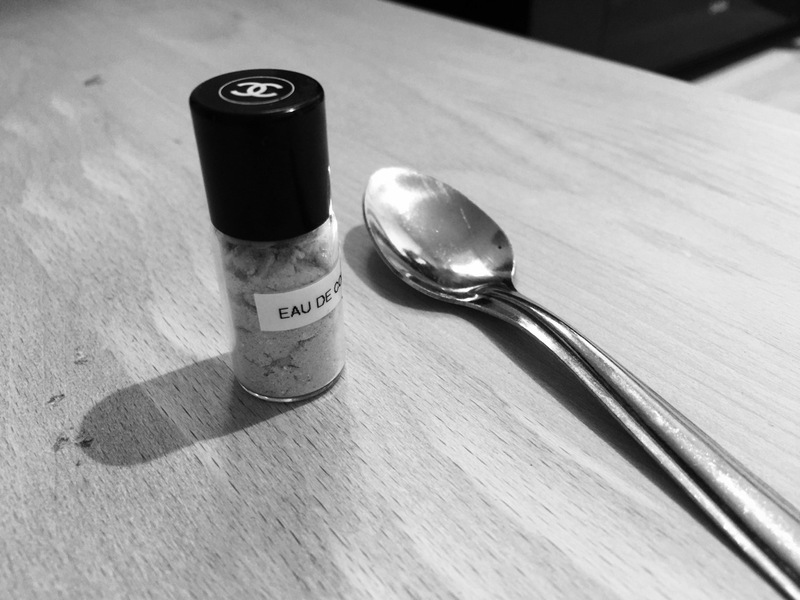 When I packed for France, I found an old Chanel cologne bottle, dried it out, and put some of his cremated remains inside. My Tiger was an elegant cat. He wouldn’t appreciate crossing the atlantic in a plastic baggy. I would like to thank the TSA for not confiscating the vial and pulling me out of a lengthy security line for carrying what looks exactly like cocaine. I took this vial and a demitasse spoon, put them in my pocket, and headed out. I am staying in the 20th Arrondissement this time, which is fine. It’s a bit far from everything, but when you have the Métro at your front door, nothing’s more than thirty minutes away at most. 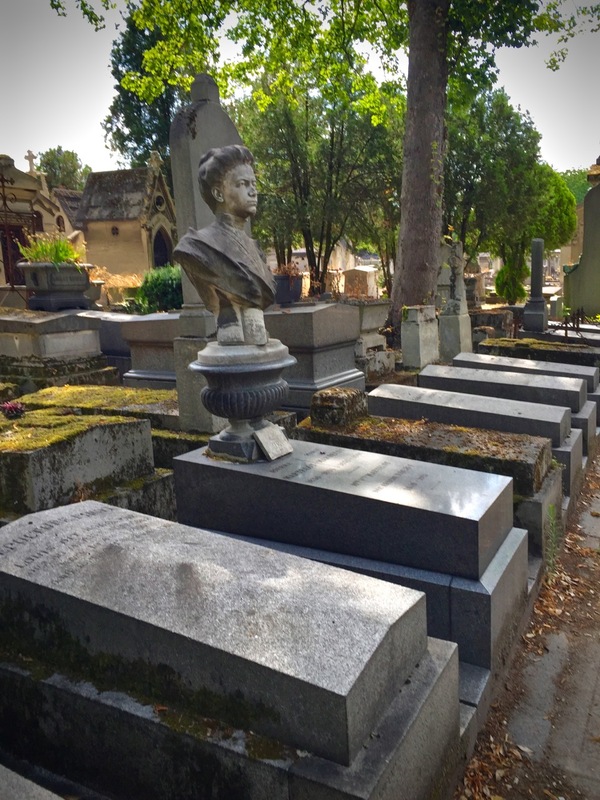 Pére-Lachaise, my favorite cemetery, is only about fifteen minutes by foot, so I headed that way. The area was like any other away from the city center. 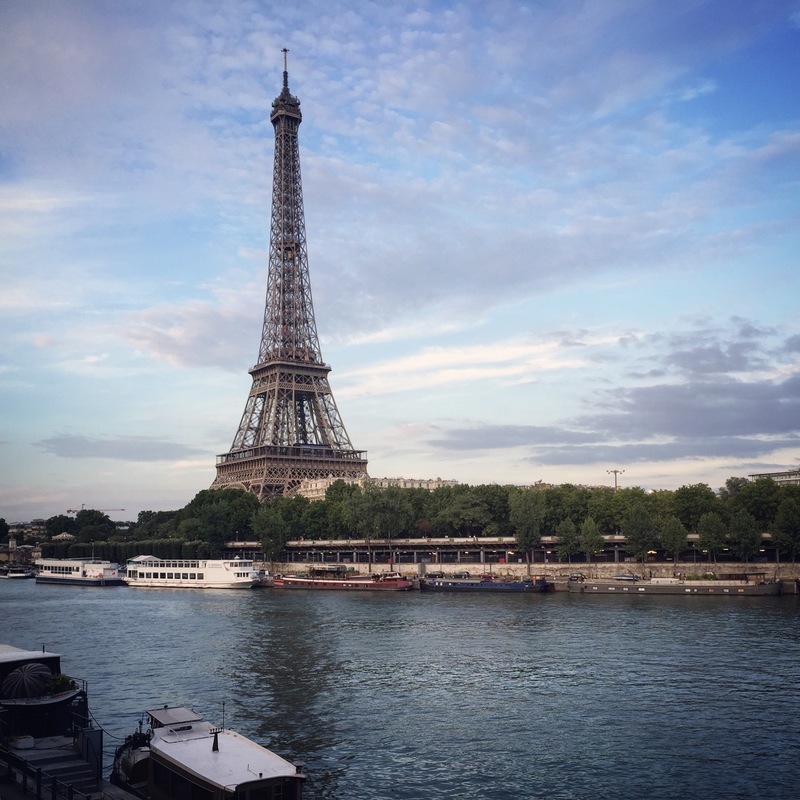 A commingling of old-school French and new ethnicities that fill the streets with interesting aromas from their shops selling kabobs and things I’ve never seen in my life. There was a shop selling Turkish meals that I meant to stop at, but I was so busy during my days in Paris that I never had the chance. It didn’t take long, and I was soon in the cemetery. 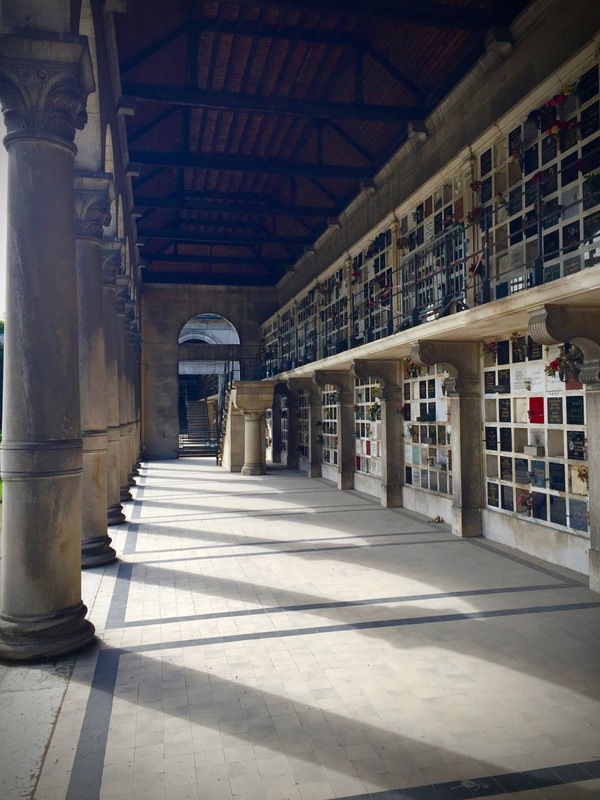 When I say cemetery, you probably have the image of an American graveyard in your head — most of my readers come from America, after all — but this is not at all the case. 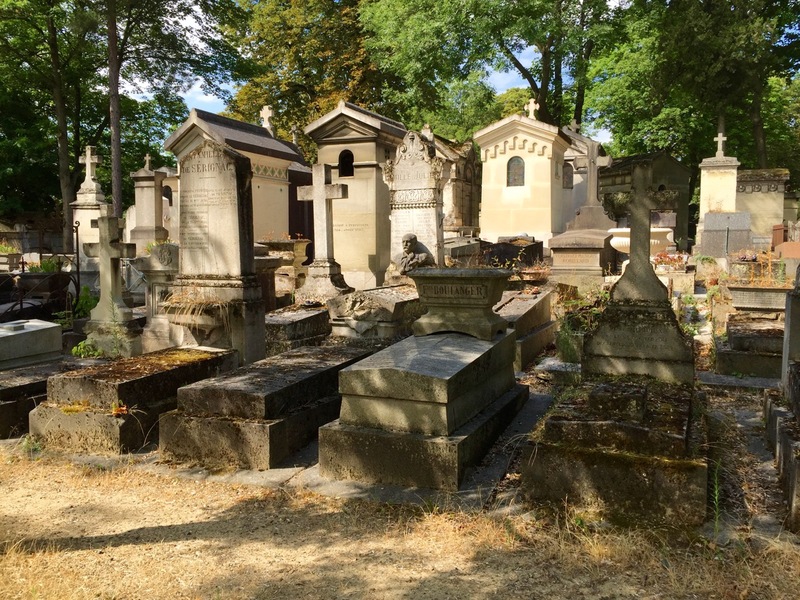 Père-Lachaise is a veritable city of the dead. The most beautiful marble tombs rise up out of the ground with incredible decorations and wrought-iron doors. Lichen covers every surface. Vines cling to the walls. The tombs fill every conceivable space along the various roads that wind their way nonsensically through the huge cemetery. And I have never seen it so packed with tourists in my life. Now, I know that I am, but I have never once considered myself a tourist. At least not in Paris. When I’m in Paris, I am a Parisian through and through. I’ve spent half a year of my life there, after all, and the culture soaked all up into me with ridiculous ease. The only thing I don’t approve of is the men’s fashion. When did they start wearing jeans from the 90s? It’s hideous. Anyway, there were people all over the place, and I really didn’t want to attract a crowd when I was about to do something incredibly illegal. I wandered, and I perused, and I sat, and I wondered, and nowhere seemed right. Eventually my instincts led me towards an area I had never seen before, and I heard a bird cackling. The chirp sounded exactly like Tiger used to do when he would sit in the window and chitter at the birds who taunted him. I knew I was in the right spot now, so I carried on down this lonely path. Ahead of me, and I couldn’t believe it, was the most beautiful black cat I’ve ever seen. Long haired with dark yellow eyes. This was the spot indeed. So I stopped and I looked around me. There wasn’t a soul. To my left was a tomb that drew me to it. 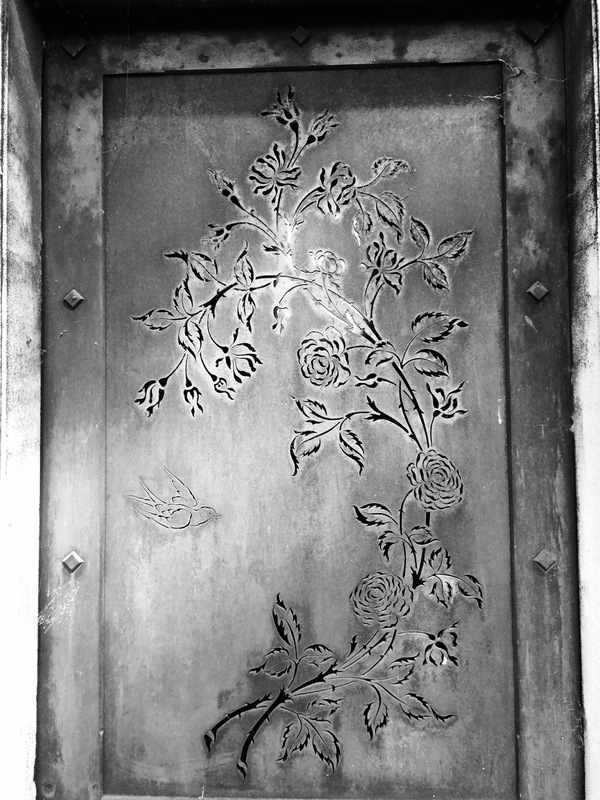 On top of the door was a brass relief that showed an incredibly stern woman. She looked like the meanest lady that ever lived, and I liked her at once. Beneath that facade was surely a sweetheart. 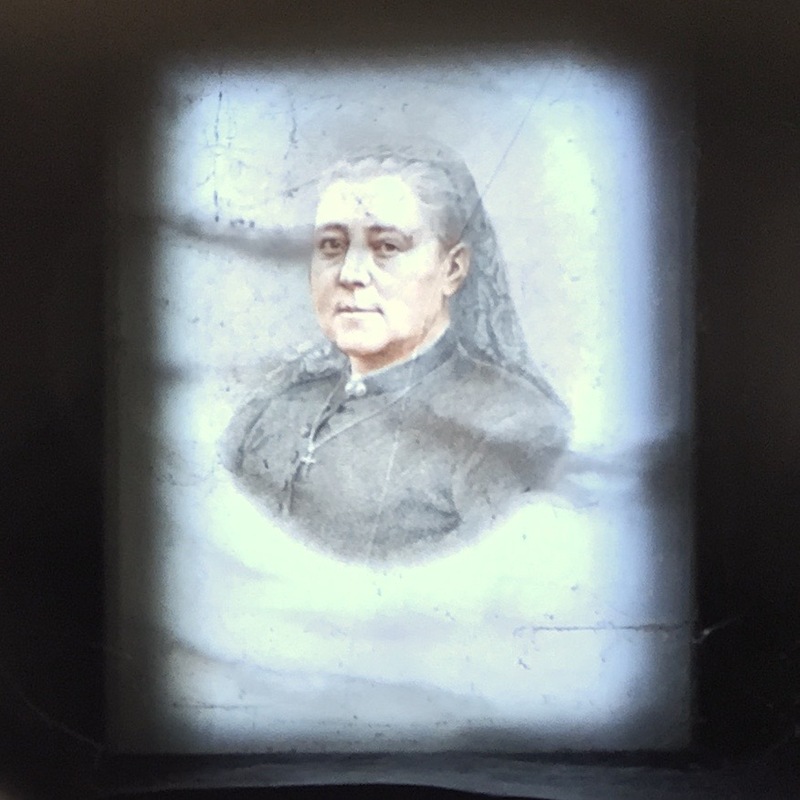 I stepped up and peered through the grill and when my eyes had adjusted to the dim light, I realized that the window was a stained glass portrait of the woman in her younger years. 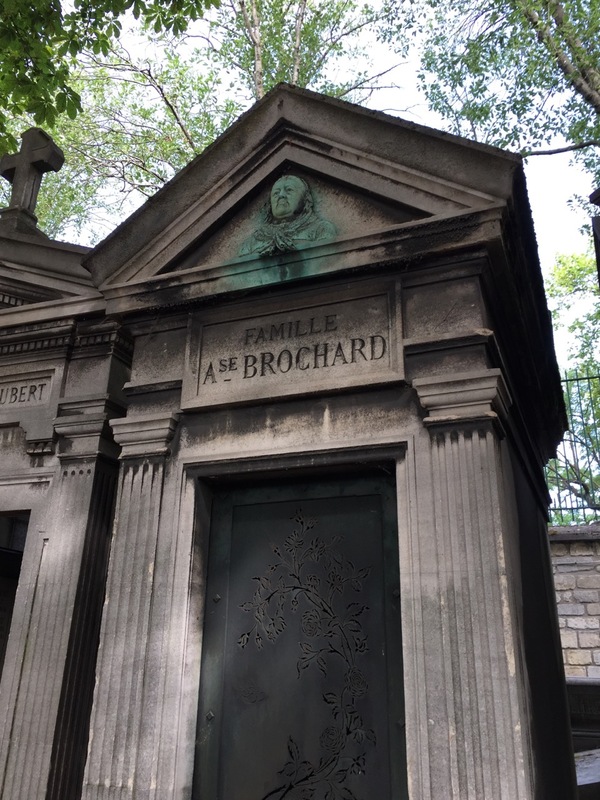 Her lips were oh-so-slightly upturned, and in that instant, I knew that there was nobody I wanted to look over Tiger’s remains more than Madame Brochard. I squeezed between the tombs and sat myself down on the ground. I took out the spoon and started scraping away at the compacted soil. The spoon immediately bent, but I kept at it. It took more effort than I would have ever expected, but eventually, the stones and vines and dirt let me burrow in and I soon had a hole big enough to dump his ashes in, so I did. Then I sat back, and it struck me that he was truly gone. I’d never pet his silky fur or hear his endless purring again. It hurt me, and I was a mess, and I was certainly glad that there was nobody around to see a long-haired American weeping over a tiny little hole that seemed to be filled with talcum powder. He was just such a special cat. 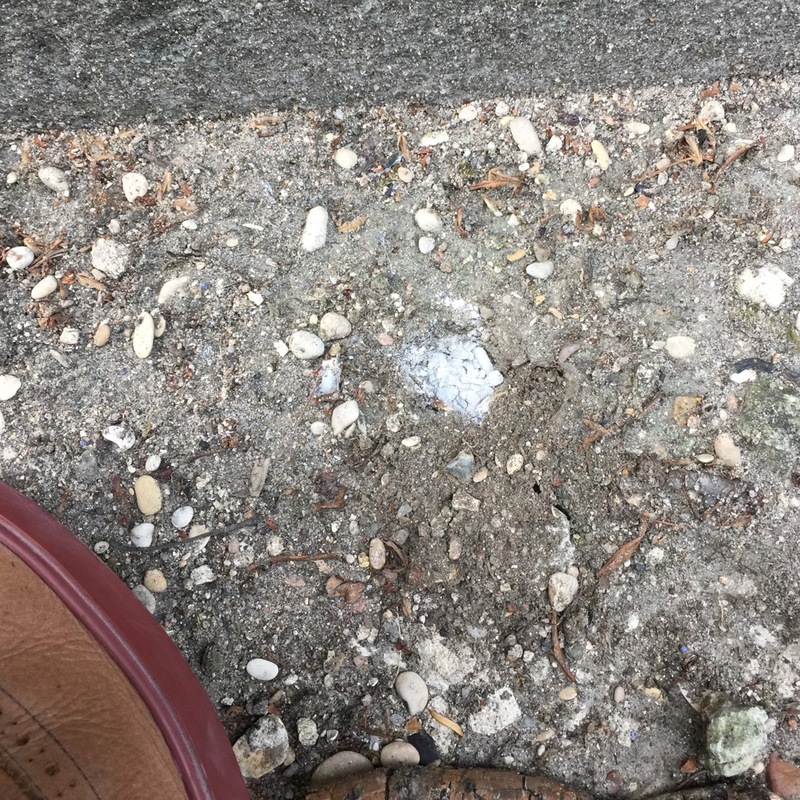 When I finally came to my senses, I filled in the hole, placed a little stone on top and hurried away before I could weep anymore…but I kept spontaneously crying all over the cemetery. I have a reason now, though, to visit for more reasons than ever, to see my Tiger. Lucky for me, everybody else was crying, too, as there were a great number of burials that day. As I made my way over to Édith’s grave, I stopped by the Crematorium for the first time. I am not sure why I’ve never passed by this way before, but I adored it. I will happily have my ashes put into that beautiful wall! In the cemeteries that I explore back home — and I do explore plenty of them, it’s an odd hobby — I am never very impressed by the cremations or by the gravestones. Why does everybody have the exact same thing? It’s maddening. I could never be buried under a generic stone or behind a boring inscription. It has to have some pizzazz! So, this place is perfect for me. I surely spent an hour going up and down the staircases and examining the different designs. Édith was fine, and Oscar Wilde was doing quite well. People are kissing his tomb again, thank God. A few years ago, the cemetery washed off the lipstick stains of a million fans and put a glass barricade around it. I was appalled. I’m sure Oscar would be, too. I have long considered myself the reincarnated Oscar Wilde, so I am speaking with some authority. Lastly, I checked in on my old friends, Joseph Fourier and Jean-François Champollion. These two men are the main reason that we can read ancient Egyptian and know all about that culture that is so dear to me. So I sat down again and I thought about all these people that have so influenced me and how they somehow wound up in the same spot. Who would I be without Champollion? I wouldn’t be an obsessive Egyptologist. And who would I be without Piaf? I would not be nearly as French as I am. And who could I be without Wilde? I would not be a Victorian wit in a modern body without him. As I sat, hand under my chin, listening to the birds, how I hoped to end up there myself. I have no dread of dying. I only dread my body ending up in some horrible cemetery. It’s a true panic that overwhelms me sometimes. 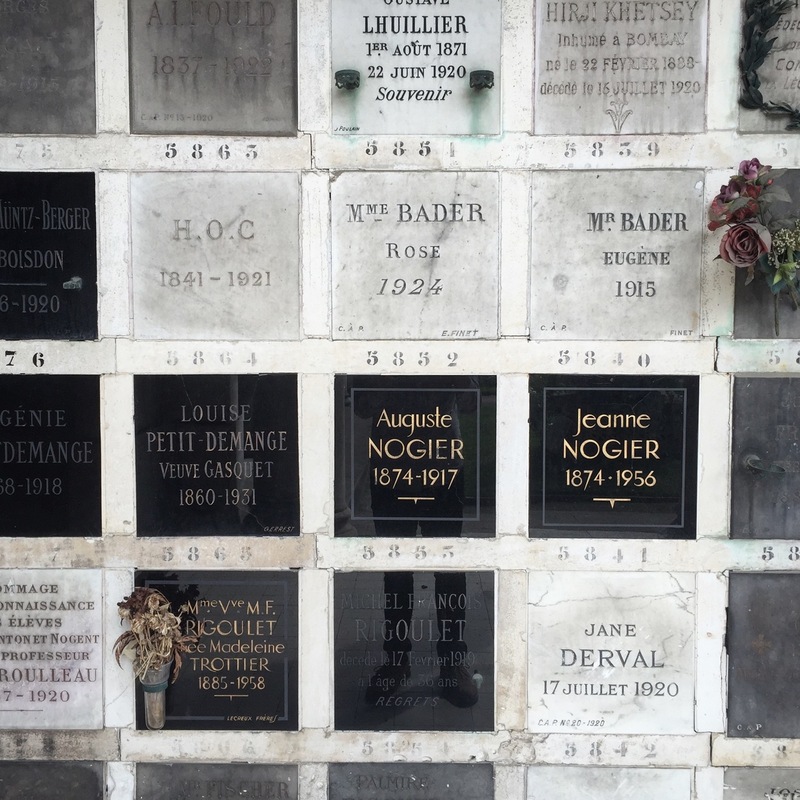 To be buried in Père-Lachaise you have to die in Paris or have a space reserved well in advance. I’m starting a fund for this next year when I have my travel bills paid. I really want nothing more in the world. I’d like to have my tomb settled early so that I could allow other family to be buried there, and so that I could visit it a few times…maybe take a champagne picnic outside. I could truly spend the rest of my trip in the cemetery alone reading the names and trying to figure out the backstories of all the occupants. I saw Pissarro’s tomb and was a bit miffed that his grave wasn’t as beautiful as his many paintings of my beloved hometown. I visited Héloïse and Abelard and wondered why so many people are obsessed with their romance, if it could be called that at all? And then I was terribly affected by the World War II memorials. I’ve seen them in the past, but I’ve never really looked at them in great detail. They’re appropriately melancholy and fill the viewer with a sense of dread. Today, though, I read the inscriptions, and gaped in horror to discover that the remains of thousands of Holocaust victims were below my feet. I’ve always been removed from that part of history, but to have it so close was truly alarming. I knew that I had to get on with my day, so I made my way out. I saw one tomb on the way, though, that begged me to go inside. I swear it had an aura of some kind. Nothing was apparent at first, but as my eyes adjusted again to the low light, I could begin to discern writing on the walls — scratches really. Inverted crosses and pentagrams were all over the place. Satan was written again and again and again. I’m hardly religious — more spiritual, I suppose — but I felt a chill run up my spine and my hair rise up. 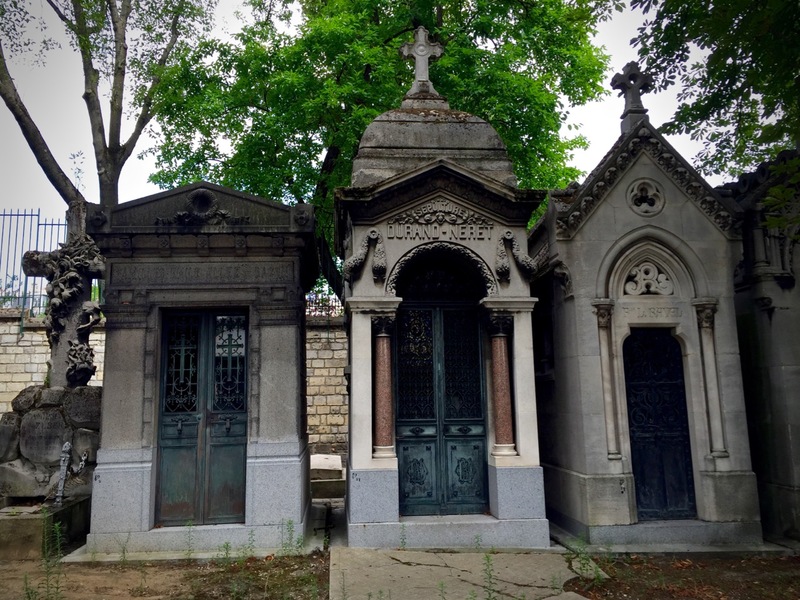 It’s long been rumored that there is a coven in Père-Lachaise that uses certain tombs as altars for dark magic. 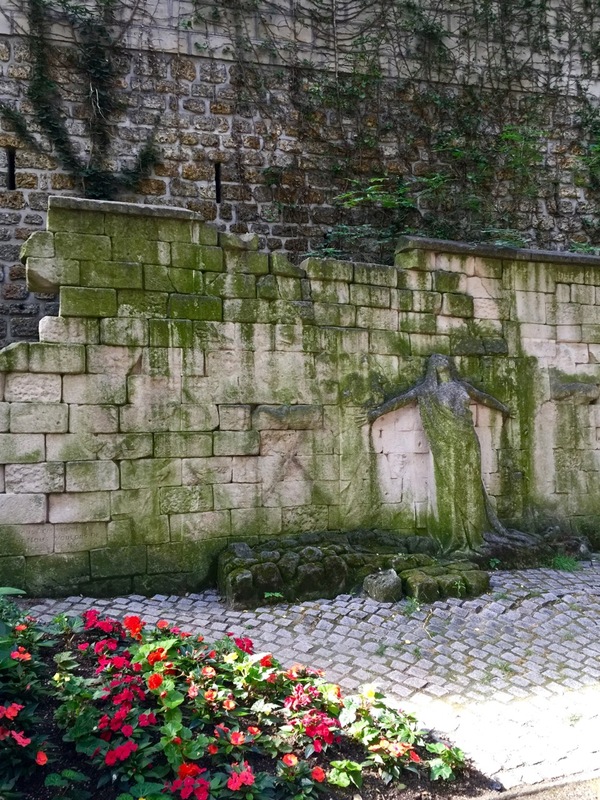 Other tombs are supposed to have secret entrances that lead to the Catacombs. I’ve always thought this was something fanciful to scare the youths…but I do believe it now. Back in the apartment, jet lag claimed me and I passed out for hours. When I came to my senses, I noticed something odd on the wall, so drowsily I grabbed it off the shelf and yelped with delight. It was a sign! Well maybe not, but I find it odd how strange it is that Egypt follows me wherever I go. It was an alabaster scarab beetle, one of the quality kinds you find in workshops in Luxor, near the workmen’s tombs. How odd and how wonderful to have that beetle nearby. I tried to make myself look like a passable member of society — not an easy feat, mind you, when my cupboard of hair creams, gels, sprays, and potions are an ocean away — and then headed off to my favorite restaurant in Paris. I tell you about it every time I’m here. It’s a tourist restaurant that everybody on TripAdvisor detests! I absolutely adore it. I’ve had one bad experience there, but that was a fluke. If you do your best to speak French and watch out when ordering drinks, you’ll have an enchanting evening. I did. I loved watching the hoards of tourists run by to look at the Eiffel Tower whilst sipping on a Kir Pêche. That’s my drink at cafés…usually. It’s so good. The entire experience was a treat.